"I love the room and its easy access to the city." Have a question for Grand City Hotel? "The hotel is accessible and few walks away from fastfood chains." "Had a nice and convenient stay." "Place is strategic as well." "I love the location since a lot of shops are just a walk awa..."
Well-positioned in Cagayan De Oro City Center, Grand City Hotel is the ideal point of departure for your excursions in Cagayan De Oro. From here, guests can enjoy easy access to all that the lively city has to offer. With its convenient location, the hotel offers easy access to the city's must-see destinations. The facilities and services provided by Grand City Hotel ensure a pleasant stay for guests. This hotel offers numerous on-site facilities to satisfy even the most discerning guest. 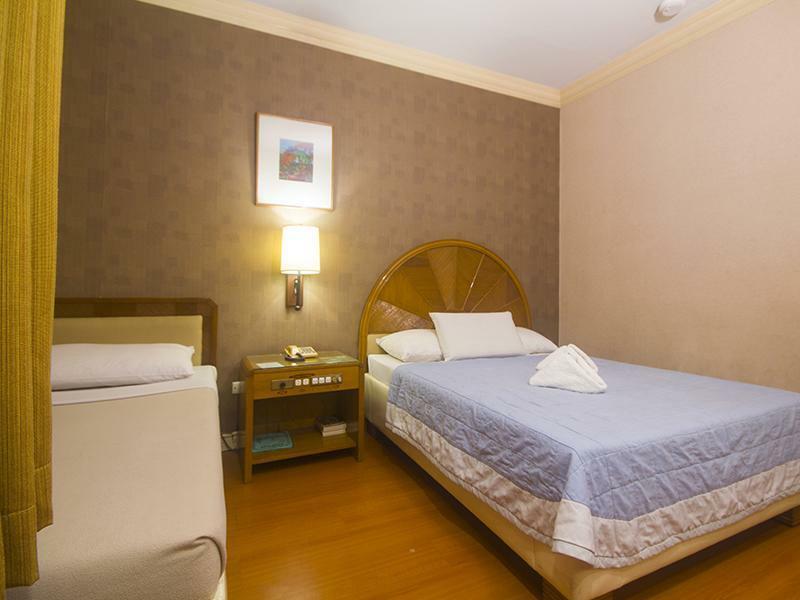 The ambiance of Grand City Hotel is reflected in every guestroom. internet access – wireless (complimentary), non smoking rooms, air conditioning, wake-up service, desk are just some of the facilities that can be found throughout the property. Throughout the day you can enjoy the relaxing atmosphere of the golf course (within 3 km), massage. 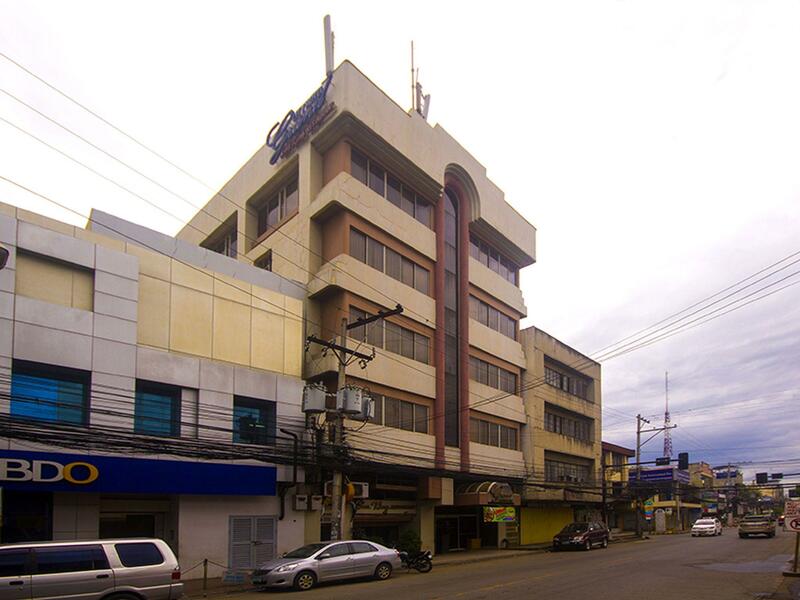 Grand City Hotel is an ideal place of stay for travelers seeking charm, comfort and convenience in Cagayan De Oro. "This is a very nice hotel good value for money and in a good..."
the hotel is satisfactorily clean... toilets, bed. Housekeeping cleans daily. well located hotel. right at heart of the city. near Xavier univ where cheap foods abound. many restaurants around too. easy to get advice on where/how you want to go. friendly reception staff. 24 hours open. breakfast is just the right amount and kind. sometimes buffet, sometimes plate bfast. just ask around 7pm if bfast will be buffet or plate.cool aircon, soft bed which makes sleeping a good experience. The staff are accommodating. I understand that the establishment is already old. Good location since it is just near Xavier University and you can easily ride a motorela to get around the city. The only bad thing is that we could not connect to the wi-fi at room 308. One needs to go to the hallway at the third floor to get connected. Super love this place!! Location of the hotel is perfect! It is at the city center and a less crowded place than the one in Cogon. It is just a few steps away from Redtail too. A famous shrimp/seafood restaurant in CDO!! Also close to other fast-food chains like Jollibee, Mang Inasal, Burger King and a lot of coffee shops, and other restaurants nearby. There is a convenience store in front of the hotel too. The room is surprisingly nice and really clean. My first impression is that the hotel is already old so it won't be that nice but the room was clean, CR is clean and actually nice too. I love the bed because it looks like the whole mattress is made from memory foam!! So soft but not painful in the body. I love their bed so much. Airconditioning is cold too. So cold there was a time we turned it off for a few minutes then turned it back on again. Staff or the receptionist is not that friendly though. They answer your question but not as friendly as other kagay-anons we’ve met. We had a great experience during our stay. Location was very good since nasa center siya and a lot of fast foods to choose. Room facilities were good as well except the aircon since we noticed that giginaw tapos iinit na naman. Pero overall stay was great! Would surely love to stay here again. The hotel is good but im a bit disappointed when I requested in my booking for a matrimonial standard but the personnel gave me a twin bed when in fact I booked the room 6 days ahead. Maybe bcoz of availability though. If u have ur car, better to go there a bit earlier, the parking area is quite small. Well, the parking area is safe, and the guards are very accommodating. BIG ROOM, LOVED THE SHOWER, I even had 2 haa. It took a while to sort out the sockets and tv. daytime staff nice but the older lady on reception had a face like a wet weekend, -- sour face. stayed for 5 night and had an exceptional business activity! i love the room and its easy access to the city. Although the room looked old from the interior up to the bed they still manage to keep it clean. The hotel is accessible and few walks away from fastfood chains. We had a great stay at Grand City Hotel. Most standard rooms only have double or twin beds. Since we are a family of 3, their standard room was perfect since it had a double and a single bed. We all had a comfortable sleep. Yes, the hotel is old BUT they added features that make your stay more comfortable - bidet and large shower head. We were very satisfied with our stay. It was close to a lot of places that we needed to be. I and my family have been staying at city grand hotel for the past decade each time we're at cdo. It's perfect location close at the heart of the city would reallybe its advantage amongst other hotels. Only that during my latest stay, I wasn't able to use the wifi. Will continually stay at city grand hotel. The bedding have very strong smell of softener. Too strong smell, have hard time breathing & sleeping. Old room too dirty. The breakfast have cockroaches flying down from the ceiling. The last time I stayed here I said I wouldn't return because of the level of cleanliness, I did come back because the location is close to where I needed to be for business and the breakfast was very good. I'm happy to say this time the bathroom was clean and smelling good, again I was very happy to have a nice hot shower with the big shower head they have, as usual the staff were polite and helpful. Breakfast was one of the best things about the stay, the cook did very nice eggs any way you want. The only thing I could add is even tho the level of cleanliness was better, for a hotel like that, they need to shine the shower head and pole for the curtain and lastly get rid of the black in grouting between the tiles. Keep up the improvements. The good things I can say are the staff are excellent, breakfast was good, also the shower was hot, that's it. This hotel would have been fantastic in its day, but unfortunately that passed long ago. The room and bathroom were spacious, but attention to detail in cleaning does not happen and it's supposed to be at least a 4 star hotel. We had to flush the bathroom floor with water because smell, they need to use disinfectant when cleaning, also the shower glass needed a good clean. There was also hair on the floor in the main room. We had dinner in the restaurant first night and the table cloth on the table had several stains from other dinners and it was obvious it hadn't been changed for a few days. Such a shame, cause if they dropped the price to match the age of the hotel and did better cleaning I believe people like me would come back again, but for now I won't be back. Excellent location but very old hotel. Location is great with friendly and accompanying stuff.